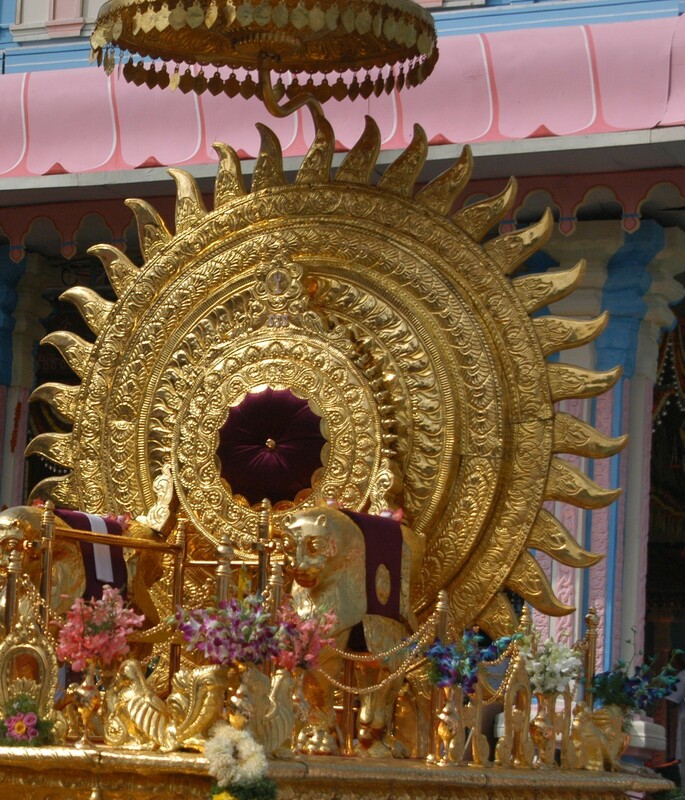 See for yourself how exposing was the BBC crew’s capture in 2004 of Sathya Sai Baba collapsing after pretending to miraculously materialize a gold Shivalingam, and exposure of his dithering performance. HERE . Film shot by others at the same occasion by those partial to Sathya Sai Baba was tightly suppressed. In the writings of foremost Sai Baba apologists, it is very typical to attempt to make it appear as though Sai Baba critics live, somehow, in each other’s grey and homogenous pockets. When any competent reader puts these critical writings alongside the writing of Sai Baba sect proxy apologists such as Gerald Moreno, the qualitative difference leaps into view. ‘Joe’ Moreno and Sai Baba’s official Internet propagandist Dr G. Venkataraman evidently assume that some of the world’s most reputed organs such as the BBC, CBC, DR, SBS, ABC, Times of London, Telegraph, Guardian, Age, UNESCO, etc., are peopled with incompetents unable to guage good credentials and self- and group-presentation of those whose accounts their highly-trained, seasoned journalists investigate. It was no easy task, for example, for the producers of ‘The Secret Swami’ (2004) to obtain from BBC senior management and its legals permission to use a secret camera trained on Dr Michael Goldstein. As well, in a somewhat Senator Joe McCarthy-like manner, Moreno strikes into the individual, institutional or other professional and family lives of those who have left Sai Baba’s movement, including a student who wishes to pursue a Ph.D and has long been away from the job Moreno’s agenda to destroy, in whatever way, often very deviously so, he can each articulate critic of Sathya Sai Baba. Specious inferences are made relying on dates, etc., which in fact do not reveal the facts, about which Moreno can have no substantive knowledge, but upon which he pontificates from his own assumed heights of knowledge and rightness. If there is anything which he does not understand or misinterprets, or for which exist commonsense alternative explanations, the critic of Sai baba is immediatedly branded a “liar”, a “cheat”, a “septuagenarian”, bent on “manipulation,” “deceit”. etc., …. (Detailed evidence is contained in the various links above and those below, but a brief glance at Google results is decisive. Another quick method is to view HERE). Moreno does not stop from repeatedly naming a young child or from attacking the business of that child’s very vulnerable mother’s business. Even after complaints have been made to executives of WordPress.com, Moreno has persisted in this naming of the mother and the child. His rationalization for these acts draws from data that he, in usual fashion, has grossly misinterpreted. (Not of course that any decent individual would act to wreck another person’s business even if his premises were correct). See Robert Priddy: Sai Baba Hatchet Man Picks On A Young Child. He does not demur from making, in his timeless fashion, absurdly badly-argued inferences that a former devotee activist is involved in inciting terrorism, Terrorist-related Slurs Used By Sai Baba Internet Fanatic. an unceasing smoke-screening aimed at preventing a readership for what critics of Sathya Sai Baba phenomena write. This involves fraudulent usage of Internet technology, very difficult at the present state of development for services such as Google to prevent. that he cannot answer many of the main points articulate and well-informed critics make. These points he, at best, trivializes or leaves them alone or summarily dismisses them with no evidence. can only attack the personalities of the writers and, legalistically, the sexual and murder allegations. He cannot deal with the facts put forward so he tries to bury them. he is closely leagued with major sources close to Sathya Sai Baba and certain of his core leaders. For example: those associated with saibabaofindia.com. Robert’s material re Sanjay, and others, as defamed by Moreno. Against a formidable instinct in human nature, most former devotees have, for not far short of two decades, refrained from striking back at those who have so massively vilified and defamed them. My own notion shared with other internationally networked former followers was that we had best focus on our central task of exposing the central figures, Sai Baba himself and the leaders of his international Sathya Sai Organization. Only in the tiniest minority of cases was there not agreement with this conservative view. A small number, quite young in age, wished to engage the other side in, as it were, fierce aerial combat, and any difference on either side of the “cyber wars” lines of battle was scarcely, if at all, noticeable: flaming, volley for volley of abuse. The spectacle was all so inspirationally edifying that one had no desire to read further. One of the refreshing characteristics of internationally networked former Sai Baba followers is that members have used consensual approaches among ourselves. Unfortunately, yes, secrecy was essential. There were very vulnerable psychological survivors among both individuals and families. It should never be lost sight of that many in the Sathya Sai Organization, from the leadership to the rank-and-file knew that this was not true. For his statements were about individuals they had for decades known, honored, loved and served alongside in so many service and other activities. … What does the layperson know of sexual abuse? The exceptions in our midst were those very qualified mental health professionals such as Shirley Pike and (the late) Elena Hartgering, Barbara Shocket, Dave Brandt and others who have preferred that their names not be used. We were entering a world of anguish and complexity. What we learnt was that the first requirement is to listen with compassion. It is the opposite of what cultic defenders show, who race to judgement, leap to the worst imaginable conclusions, and condemn any who should dare to attempt to communicate their account of abuse”. Survivors of Sai Baba’s serial, widespread sexual abuse of boys and young men and other abuses have been advised to debrief their shocking experiences with very qualified, respected professional counselors. And indeed to go all out to ensure that those of real ability are found, and not someone who will see the answer in suppressive drugs or ‘counseling’ from some narrow or partisan agenda. Even without traumatic psychological upheavals that attend sexual molestation, youth is typically (remember it?!) a time full of disruption, confusion and anguish. Internet attackers – e.g., Gerald Moreno – on the statements of those such as Alaya Rahm and many others show – have been deemed by complete third parties from law and the healing professions etc., to show acute lack of sensitivity to this framework. They also question whether it is advisable for young who are so very wounded by their experiences to have so publicly bared their troubles. To be confused, forgetful of dates, times or places, or behave neurotically does not mean that abuses have not occurred. One of the chief difficulties comes when those with a responsibility – as had the Sathya Sai Organization – for proactive and healingful responses do not acquit their duties with understanding and compassion. Because of its profound failure here, that organization has brought upon itself the massive exposure that has occured especially from circa 2000 to this day. Renewed opprobrium falls upon it yet more so because of its acquiescence with the state of affairs that closely links Gerald Moreno with saibabaofindia.com. This is a highly active group little short of being official, but whose members include those close to Sathya Sai Baba. No Sathya Sai Baba devotee who is a properly qualified and competent psychologist, psychotherapist, psychiatrist, social worker etc., could ever condone Moreno’s attacking styles, which have been constant. There is the sad fact that Moreno’s gross misconduct, and that of the Sai Baba leaders and other members who co-operate with him, brings into discredit others who do not merit it. For many Sai Baba devotees, who genuinely strive in their spiritual endeavour to be compassionate, good and caring individuals, are not as he. They have done and continue to do, for example, much worthy and unselfish work for the less fortunate in society, just as, be it noted, is the case with many former devotees active in exposing Sathya Sai Baba. It would be hard to imagine that Moreno, who inhabits the cyber world by night and day, would have any time left for it. The reason why writers like Priddy, Steel, and Pittard can write prolifically, and yet have ample time left for family, friendships and community involvement is because our university training and disciplined work habits of a lifetime allow us to achieve much work in shorter time. We have been with each other, even though mostly via ‘hands across the ocean’, in times of birth deaths and marriages, job change, retirement (refreshment!) – the joys and sorrows, the great rolling of the Seasons. We deeply and happily remember sadly-departed wonderful spirits like Glen Meloy and Elena Hartgering (who was one of the first professional counselors called on to hasten to New York to attend those shattered lives among the smoldering remnants of the 9/11 events). The rapport – far from the dread conspiracy that Sai Baba apologists (See HERE and HERE) have tirelessly and offensively speculated to exist – is especially gratifying when one considers how widely national, cultural, religious and non-religious has been its composition. There could have been so many cross-purposes, but those that did exist were usually resolved well, with people learning from each other, rather than making shallow compromises. This quality of listening and sorting out is very different to the top heavy, Soviet-style that has, over the years, developed in the international Sathya Sai Organization. One seriously discordant note that I recall is when a Christian fundamentalist was, frankly, a pain-in-the neck. When he marched off in high dudgeon (the issue was whether to include people’s professional qualifications in a joint letter) great were the sighs of relief. Pretty obviously, the response would have been the same had he been a fundamentalist of any kind. Even then, ALL participants remained courteous to him, though certainly not agreement. A small list of those who have spoken out is below. It omits many names. This is because individuals have wanted, as they express it, to move on or not to have their names plastered over the Internet by profoundly insensitive, unconscionable individuals such as Gerald Moreno. A quick test in the latter’s case is to Google this name, and immediately you will note the countless usages of words that are: defamatory, libelous, disparaging, vituperative, aggressive, strident, malicious, strong-arming, and so on. A more recent addition has been Moreno’s repeated ageism. With such powerful links to devotees and others through the unofficial promotional SSB network and further boosted by his tireless Search Engine Optimization activities, Moreno has engineered, for the moment, a high Internet profile to project his own “smear campaign” with its egregious deceit and dishonesty – and smokescreens. On last night’s Australian Current Affair on the national Channel NINEMSN, the camera catches scenes of ugly violence by security guards hired by Sathya Sai cult members. Click on the reference below to see the anguish of long time staff and clients at a Brisbane, Australia, center for the disabled. The picture over the title ‘Infiltrating A Cult’ (below) is of Moyia O’Brien, who is a Sathya Sai Organization matriarch, almost worshipped by some of Sai Baba’s followers. She heads the SWARA centre (Sunshine Welfare and Remedial Association Inc). See Australian media related references, below. “That is completely ridiculous. That is not true. The Sai Organization is not a cult, it’s not even a religion. It’s a service organization”. In further blogs, ample documentation will be given that indicate Moyia O’Brien knows this statement is extremely untrue. This presentation of Sathya Sai Baba to the general public is the many times documented familiar ploy of Sathya Sai Baba officials and devotees with the media and non-believers. Duplicity increasingly rebounds upon them with great force. (See ‘Recruiting’ link, below). The hiring of very heavy security guards by SWARA against clients and former staff – who have been sacked for speaking up about clear and serious policy issues – questions the incessant talk of Sai Baba and his followers about resolving issues with love, peace and non-violence. Yet again, the evidence shows a profound and systemic inability to listen and to value standards of accountability and transparency. It is a failure so often noted in cults, and results in great anguish for all concerned. To see the segment of Australian Current Affair, click HERE or on the photo of Moyia O’Brien and the title ‘Infiltrating a Cult’. Quote: “This zeal to recruit (to use the proper word) tends to take place in exceptionally prestigious venues. What does the Sathya Sai Baba cult need for its survival – given over a decade of unrelenting exposure? It needs to provide for the stupendously expensive upkeep and maintenance of its costly and sumptuous buildings and various programs that glorify Sathya Sai Baba as God of Gods”. (Compiled from Australian sources, with comments by Barry Pittard, former lecturer Sathya Sai College, Whitefield, via Bangalore, India, and Robert Priddy, former longtime leader of the Sathya Sai Organization, Norway, retired lecturer in Philosophy and Social Sciences, University of Oslo). “This iconic venue’s seating capacity is 12,000! Only 1,200 attended. Many Sai devotees walked out half way through the programme, leaving approximately 800. An organiser (Ms. Gavina Cossa) sat down and cried.In these carefully stage-managed so-called presentations, the chief aim of the international Sathya Sai Organisation is to recruit new members, but without using the word ‘recruit’. There is an ongoing and costly damage control effort by the SSO in various countries to select large, prestigious and plush venues such as La Mirada Theatre in the Los Angeles/Orange County area, Cooper Union in New York, Vancouver Playhouse, Melbourne Town Hall, etc. Other propaganda includes very costly professional audio-visual presentations”. A decade ago, Sathya Sai Baba informed his devotees that his aircraft is about to take off to bring his mission to the whole world. That this was stated in no metaphorical sense is well-indicated, for he has told various of his key leaders that he would visit Rome, the UK., Malaysia, southern California. bound ‘world Avatar’ travel the world? How indeed shall a failed ‘Avatar’ save himself? But the runway, like his own imagination, would seem to have run away on him. He celebrates his 83rd birthday this November 23rd. “Sathya Sai Baba has reminisced on how Idi Amin wept tears of devotion for him, when he visited Uganda in 1968. Actually, Sai Baba goes a step further than Amin, proclaiming that he is the Divine Incarnation surpassing all Incarnations. His devotee propagandists are now fervently downplaying his actual claims by telling the wider public that Sai Baba simply says that “all are God”. Their intellectual dishonesty is patent, for they know full well that he has long and often claimed to have incarnated to save the whole world in his own lifetime, saying that he came as Sri Ram, Sri Krishna, Shirdi Sai Baba, and will return soon after he dies (not that he uses this word!) as Prema Sai Baba”. This was V.K. 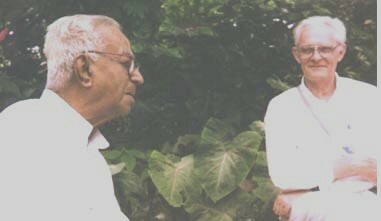 Narasimhan (d. March 2000). This remarkable man, whose history of standing courageously up (many fine citizens were flung into jail!) as a newspaper Editor to Indira Gandhi during the 21-month 1975–1977 Emergency was known and is still remembered with admiration throughout India, and well beyond. Narasimhan, Editor of the Sai Baba official magazine, Sanathana Sarathi, that is distributed worldwide, was a warm mutual friend of the both of us, although Priddy’s and my paths did not cross. VKN, as he was with much affection known, was earlier ex-Editor-in-Chief of the Indian Express group of newspapers, and widely regarded as very upright, and one of the few who were not fauning lickspittles around Sai Baba. He was, although an outstanding public speaker, in many ways a very private man. He would not in any other circumstance than admiration and trust have shared years of trusted friendship with Robert Priddy. Robert Priddy relates how, on the direct initiative of Sai Baba’s younger brother and multi millionaire property developer, Janaki Ramiah (now deceased) and other officials of the ashram and Central Trust, the police were blackmailed into executing in cold blood in Sai Baba’s own rooms, four intruders who had killed two of his attendants. No less than a former Andhra Pradesh former Home Secretary, V.P.B. 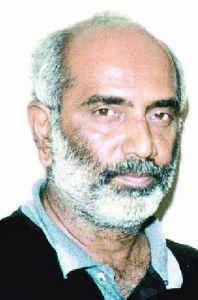 Nair, has described the killings in the BBC’s television documentary The Secret Swami as “absolute cold blooded murder”. View and hear Nair speaking to interviewer Tanya Datta, in this film clip HERE. These intruders could easily have been captured without murdering them. Sai Baba was nearby as events unfolded, hour by hour, and yet – a virtual ‘omnipotent’ dictator within his independent ashram township, at least – did not lift a finger to stop the deaths. These he said afterwards in a discourse he knew beforehand would happen! Priddy recounts how VKN shared this information with him with a lowered voice. Robert has remarked to me in various connections over time that his own subsequent extensive investigations have confirmed Narasimhan’s account. He says that VKN informed him of a discussion to which he was witness between Janaki Ramiah (Sai Baba’s younger brother) and the particularly powerful then Home Minister of India (S.B. Chavan, a Sai Baba devotee) who congratulated the brother on his actions in dealing with the matter, whereupon they laughed together over the words ‘Dead men tell no tales.’ The account is spine-chilling. Basava Premanand and Professor Narendra Nayak, the courageous Indian Rationalists and tenacious ‘guru busters,’ travel India revealing how tricksters like Sai Baba appear to materialize sacred ash, called vibhuthi, or manifest, as Sai Baba pretends to do, a golden lingam or Shiva lingam, called Lingodhbhava or sometimes Brahmananda lingam. Premanand has told the BBC he has investigated Sai Baba since 1968, at first “as a hobby”, then speaking out in public from 1976 to this day. In the BBC television documentary The Secret Swami, Premanand demonstrates how, by sleight-of-hand, magicians perform the same ‘miracles’ as Sai Baba – e.g. materializing ash, rings, pendants, etc. Footage showed Narendra Nayak demonstrating to BBC presenter Tanya Datta – who realizes that it takes practice – how to secrete a vibhuti (ash) pellet between the thumb and base of the forefinger, and then to crush it into a powder. Nayak says that Sai Baba’s rotations of the hand when producing the ash is the method used by all ‘godmen’ who ‘materialize’ this ash, and this ploy obscures the act of crumbling the pellet. (Various people, such as the former leader of the Australian Sai Organization, Terry Gallagher, a scientist and businessman, have reported seeing Sai Baba inadvertently drop these pellets. See Here). At first, I thought that, to convince the most critical, it might have been useful for the BBC to use a top magician such as Derren Brown, Noah Kelly, David Copperfield etc. Certainly, Denmark’s national broadcaster, in its television documentary Seduced (DR, 2003) that exposes Sai Baba (renamed in Australia in its English version as Seduced by Sai Baba, a copy of which we made sure that the BBC possessed), used a renowned Danish magician Nils Krøjgaard to expose some types of fakery Sai Baba uses. This documentary, with an over dubbed English commentary by an acquaintance of the producer, is viewable in a 21 Megabyte download HERE. However, critical close observers of Sai Baba do not regard him as a top magician, and indeed a rather poor one, who sometimes fouls his tricks by carelessness or absent-mindedness, so perhaps the use of amateur magicians to expose his tricks is indeed appropriate. A fair to middling amateur can still trick educated audiences, although not of course experts. I was recently sitting in a restaurant and got chatting with a local magician. He was a rather touchingly simple man, largely self-taught in his lovely passion for magic, and he was functionally illiterate and had to learn by the kindness of fellow magicians and friends, who would read for him descriptions in magic manuals and magazines. For the next hour he blithely regaled me with a whole range of tricks, deftly employing sleight-of-hand. Except for some very common tricks, he would not, as is the case with principled magicians the world over, disclose the method of these, but some he kindly did, after I had told him of Sai Baba, and he immediately improvised compelling demonstrations of how he thought Sai Baba would fake his miracles. His notions were in a line with those such as Krøjgaard, Premanand, Nayak, et al. Sai Baba: God-man or con man? By Tanya Datta, Reporter, Secret Swami. BBC News 24.